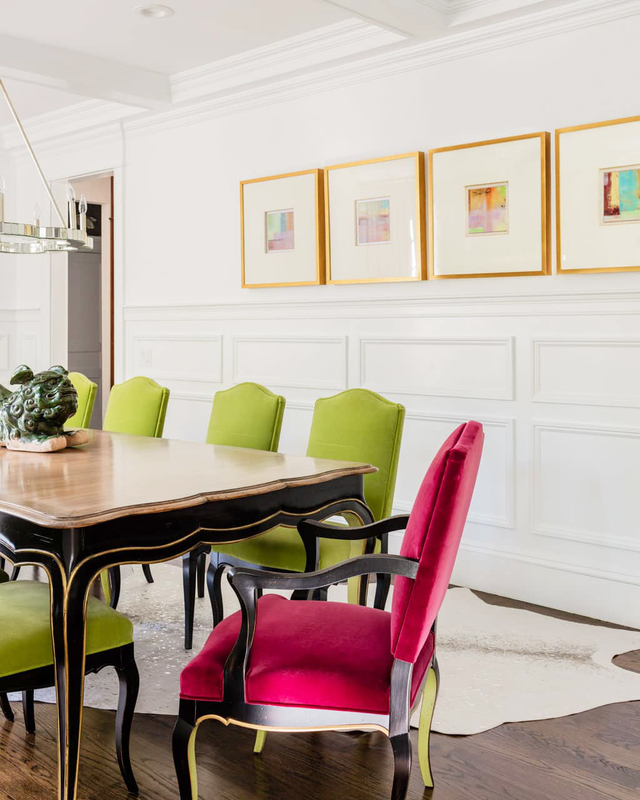 If you’re in the mood to “think pink” you’ll love this room. Although a pastel shade can be sweet and classic, this client wanted more. Fuchsia — a vivid pink with a tinge of blue goes beyond pretty to vibrant. Adding black, gray, and white made this “hangout” super fun and sophisticated.